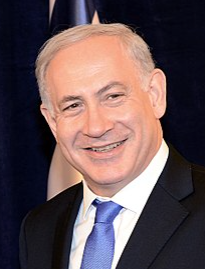 Benjamin Netanyahu, Prime Minister of Israel, and Narendra Modi, Prime Minister of India came together today to welcome a "new age of collaboration" between the two countries pledging to share technologies and resources for the betterment of each. The first collaborative effort, hailed as a significant step in cementing the unprecedented cooperation, was announced between Israeli AI leader, Cortica and India's Best Group, a diversified group operating in several sectors. Best Group operates businesses in the area of automotive components, education, Intelligent machine systems, education and technology. Cortica, the creators of next-generation Autonomous AI, enables machines to mimic human cognitive function outside the confines of the human brain so that machines think, learn and reason in the way that people do. The companies' combined efforts will provide an array of solutions for combing through the staggering amount of data captured daily through millions of hours of footage shot by drones, surveillance cameras and satellites. The sheer breadth of data surveilled on a given day renders manual examination nearly impossible. Autonomous AI enables real-time identification of patterns, concepts and situational anomalies to identify potential problems, flag them and improve safety in the process. Igal Raichelgauz, Cortica CEO said that Cortica's Autonomous AI is supported by 'unsupervised learning'; a recreation of the ways in which people experience the world around them on a daily basis. It allows machines to exceed the parameters of their programming to learn and think just like you and I do. Autonomous AI is the key to unlocking an entirely new world where machines are integral to our daily lives. The security industry is one of many industries that will be transformed over the next 5 to 10 years. Our partnership with Best Group is a significant steps in things to come. Across India, both government agencies and privately held companies are introducing better, more effective methods of promoting safer cities. Technology-based solutions feature prominently in industry installations, security establishments and other sensitive areas. The Automotive industry, among the earliest adopters of AI as a platforms for enabling mobility, is also exploring Cortica's Autonomous AI as a means toward meeting that goal. Mr. Nitesh Jain, Managik said that this new venture will be the first company in India to provide one of the most innovative solutions based on computational neuroscience and machine learning that stimulates computational processes in order to enable the machines to interact with the world autonomously. Also, with this tie-up, the Group is moving up in the areas of future mobility, new generation security and machines. Within the next 5 to 10 years Autonomous AI will usher in a new paradigm for intelligent machines and Cortica will lead the way. Founded in Israel in 2007, Cortica has created next- generation Autonomous AI, highly complex in its methodology yet stunningly simple in premise: the enablement of machines that think and learn on their own. The company is currently focused on meeting the needs of the automotive, defense and industrial industries. Cortica holds over 200 patents for inventions involving its Autonomous AI methods, making it the IP leader in the AI industry. With offices in Israel and New York City, Cortica has over 100 employees and has received more than $60 Million in funding, to date. Best Group is working in the areas that show tremendous potential of long term growth in the areas of Automotive, Education, Intelligent machines and Technology. 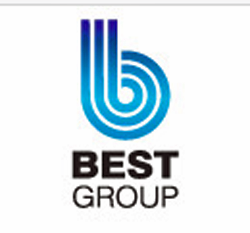 Founded in 1980's, Best Group is privately held and has several entities that focus on specific businesses with its presence in India, Europe and Japan with over 1200 employees.